New App version coming soon. Register to be notified of the release of the new update. Plastic and Reconstructive Surgery | Ophthalmology | Maxillofacial Surgery | Dermatology | Aesthetic Medicine | Regenerative Medicine | All those involved in periocular surgery and fillers. A new vision of the fundamentals of Eyelid Surgery and Facial Rejuvenation. Dr. Glenn Jelks and Dr. Javier Beut & Co. present for the first time, the entire spectrum of Oculoplastic Anatomy in unparalleled 3D detail, Physiomechanics, step-by-step essential Surgery lab dissection, as well as Facial Volumization techniques, fully packed with the latest advancements in functional, aesthetic and reconstructive surgery. 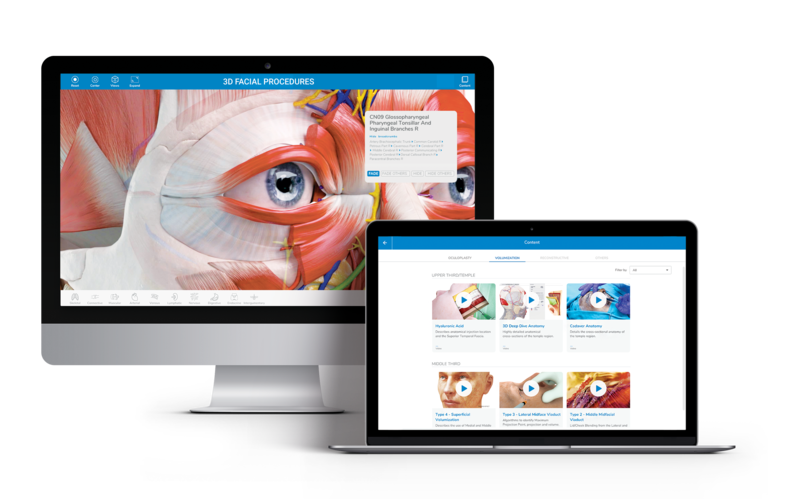 A groundbreaking educational and reference tool that allows plastic surgeons, ophthalmologists, dermatologists and all those involved in eyelid restoration and injectables to literally see what makes Ocuplastic surgery so unique. I wish I had a learning tool like this one when I was student. This App has the potential to significantly improve comprehension effectiveness. I will use the APP to explain concepts and procedures to patients.